When the sidewalk outside your business is cracked, pitted, and broken, you have more to worry about than simply an unsightly walkway. Not only do unattractively damaged sidewalks lower the visual reputation of your business and frighten customers away, but they can pose a serious safety hazard and liability. 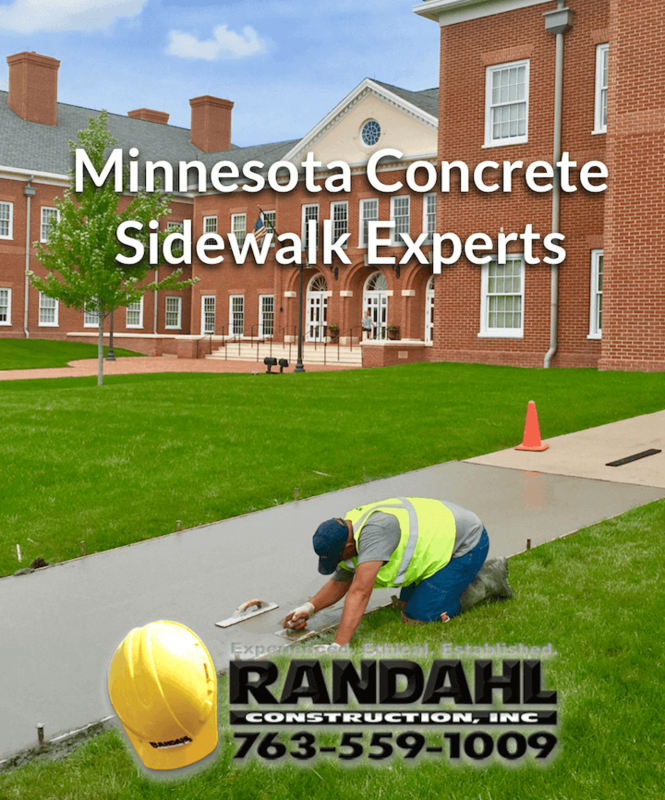 You can repair your sidewalks, but repair is only a short-term option – especially with Minnesota’s harsh winters, and the dangers of ice and snow on damaged sidewalks. Minnesota Sidewalk Repair does not always mean replacement although most often removal and replacement is the best long term solution. 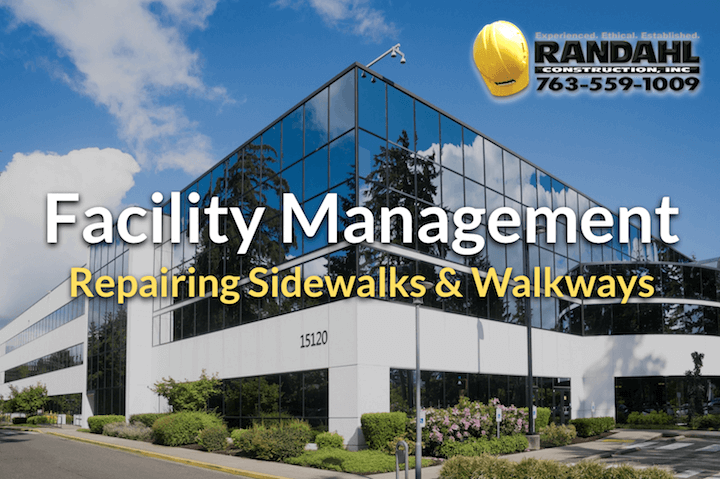 Short-term sidewalk repair can mitigate any immediate dangers to ensure pedestrians in or around your business are safe. This can help to prevent weather damage to the soil beneath the sidewalk, and avoid injury to you and your patrons. Use sidewalk repair as a temporary and immediate solution. 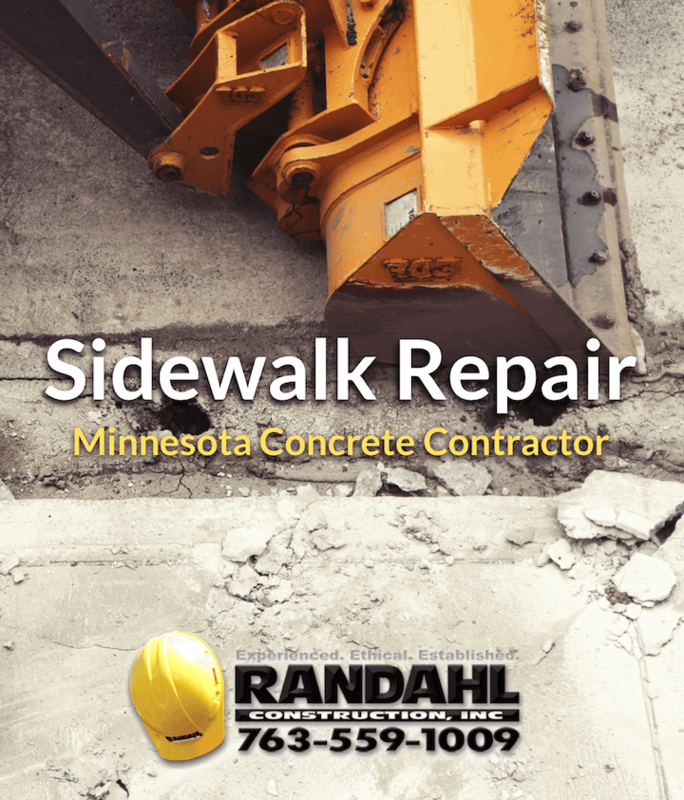 We offer excellent Minnesota sidewalk repair for a number of commercial and public sites, and can remove unattractive gaps, cracks, and potholes. Sidewalk replacement involves tearing out the old sidewalk and pouring new concrete slabs. This is a better long-term solution than simply repairing cracks, when sealant and filler can erode as cracks expand and contract with rising and cooling temperatures. Cracks and holes will often continue to grow and further degrade even after repair, creating a greater and greater safety hazard. With sidewalk replacement, you eliminate these problems by putting down a completely fresh layer of cement paving without blemishes or cracks. This creates a much more attractive walkway than sidewalks striated by filler and sealant. Responsible business owners consider ADA compliance when maintaining your sidewalks, ramps, and walkways. The Americans with Disabilities Act mandates accessibility for persons with disabilities, including wheelchair users who may get stuck or injure themselves on cracks or the ridges created by filler and sealant. If you’re not sure if your sidewalk is ADA compliant, consult with our team for a complete inspection.